Click below to visit our site! What happens in the NICU? 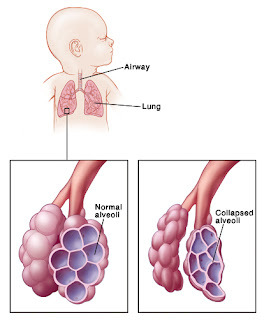 Apnea: when a baby, typically less than 35 weeks GA, stops breathing momentarily for OVER 20 seconds. This can be central (the brain needs help reminding the baby to breathe, which is treated with caffeine) or obstructive (managed with suctioning and repositioning). Bronchopulmonary Dysplasia (BPD): when the baby's lungs do not have a change to fully develop, they will need help to breathe until their lungs mature. This may include supplemental oxygen using either a nasal cannula, CPAP, or mechanical ventilation. Typically, OB/GYN doctors help prevent this by giving steroids (betamethasone) to mothers within 24 hours of their delivery if between 24-34 weeks GA. After delivery of a preterm infant, the neonatologist may provide further protection by coating the newborn's lungs in a material called surfactant. BPD is diagnosed if any newborn requires 28 or more days of oxygen support, and is further classified as mild, moderate, or severe depending on how much oxygen he or she is on at 36 weeks GA.
Polycythemia or Anemia: when the baby's hematocrit (ratio of red cells in the blood) is greater than 65% or below 30%, respectively. Anemia of prematurity occurs in the second month of life. Patent Ductus Arteriosis: persistence of a connection between the right sided chamber of the heart and the aorta, which normally closes at birth. Characterized by tachypnea (fast breathing), cardiac murmur, and a low mean arterial pressure (MAP). Diagnosed with an echocardiogram. Retinopathy of Prematurity: poor formation of the blood vessels of the eyes, occurs in most infants less than 28 weeks GA, screened for by an ophthalmologist if the baby is <30 weeks GA.
Necrotizing Enterocolitis: when the baby's bowel becomes overwhelmed with bacteria, leading to air in the walls of the intestines and can lead to perforation. Usually occurs in very preterm infants and is characterized by poor feeding, abdominal distension, and bloody stools. Intraventricular Hemorrhage: when there is bleeding into spaces within the baby's brain known as the ventricles. Usually occurring within the first 3 days of birth and in very premature infants (<1500 grams) who have not fully developed their brains yet. Problems in full term newborns (>37 weeks) that may require a NICU stay include hypoglycemia, poor feeding, poor tone, meconium aspiration syndrome, transient tachypnea of the newborn, infection, hyperbilirubinemia, and anatomical/chromosomal abnormalities. This blog is not intended to, and does not, provide medical advice. All health care content available on or through this website is presented by the author for general informational purposes only and must not be regarded as a substitute for advice, diagnosis or treatment by a professional health care provider. In addition, this blog does not recommend or endorse, and disclaims all liability relating to, any particular products, procedures, opinions or other information presented or referred to on or through this website (including but not limited to the content of any advertisement). Copyright 2014 The Daily Diagnosis. Simple theme. Powered by Blogger.